Be the first to share your favorite memory, photo or story of Ernestine. This memorial page is dedicated for family, friends and future generations to celebrate the life of their loved one. Ernestine Phyllis “Ernie” Rector, 84, of Pleasant Hill, Missouri, was born, February 23, 1934, in Hastings, Nebraska, the daughter of Ernest H. and Enola P. (Haynes) Erxleben. She departed this life, Friday, August 31, 2018, at Meadow View Health & Rehab of Harrisonville, Missouri. Ernestine was a 1952 Hastings High School graduate later graduating from Hastings College. On July 3, 1959, she was united in marriage to John T. Rector, III, in Hastings. He preceded her in death on December 8, 2016. Ernestine was also preceded in death by her parents; one brother, Ernest P. Erxleben; and 2 half-sisters. She is survived by two sons, Colonel Russell (and Mary) Rector of Murfreesboro, Tennessee, and Michael Rector of Cross City, Florida; one daughter, Susan (and Darrell) Goodwin of Tallahassee, Florida; three grandchildren, Sammy Rector of Murfreesboro, Phoebe (and Kieryn) Parsons of Clarksville, Tennessee, and Hunter Goodwin of Tallahassee; one great grandchild, Chloe Parsons of Clarksville; two nieces; one nephew; other relatives and friends. Following college Ernestine entered the Nebraska Beauty Pageant and was First Runner-Up to Miss Nebraska. She went on to become a high school teacher in rural Nebraska. Later she was Stewardess with TWA where she traveled the world extensively. 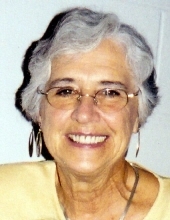 She was an active member of the TWA Museum in Kansas City and the Save-A-Connie foundation. A private interment will be held in the Parkview Cemetery, Hastings, Nebraska. A graveside memorial service will be held at a later date at the Parkview Cemetery. To plant a tree in memory of Ernestine (Erxleben) Rector, please visit our Tribute Store. "Email Address" would like to share the life celebration of Ernestine (Erxleben) Rector. Click on the "link" to go to share a favorite memory or leave a condolence message for the family.